Do you remember several years ago when supplement companies (and even some prescription drug companies) started flooding the diet pill market with fat blockers? At its highest point, there were even snacks and potato chips which included a specific ingredient capable of blocking your body from digesting and absorbing the fat people were eating. Due to massive reports of gastrointestinal distress, this trend slowly faded from the public eye. Furthermore, in recent years, medical experts have discovered that fat isn't as unhealthy as we once believed - it's carbs that are the problem! And if you want to prevent your body from absorbing the unhealthy carbohydrates in your diet, then you need to look into Dietrine. Best of all, this particular pill does not contain any stimulants, dangerously large doses of caffeine, or the deadly ephedra. It only contains three simple ingredients which have been proven, in one way or another, to help your body process the carbohydrates you eat in a healthy way. 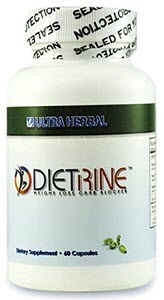 Dietrine contains a specific white kidney bean extract that reportedly has the power to prevent your body from absorbing most of the carbohydrates in the foods you eat. The unique, proprietary formula that Dietrine offers is known as Phase 2. It is a unique form of phaseolus vulgaris extract that helps prevent certain digestive enzymes from converting carbohydrate molecules into glucose. You see, it's not carbohydrates alone that necessarily make you gain weight; it's the process of your body transforming them from a carbohydrate into a sugar molecule. Sugar (glucose) molecules are either burned off by your body for energy, or stored for later as fat. But if a carbohydrate molecule cannot be transformed into glucose, it cannot be stored in a fat cell and gets excreted with the other waste products in your system. Vanadium is a trace element - not unlike copper, or zinc - which can help the human body live a more healthful life. Some of its health benefits include lowering cholesterol and blood pressure, reducing the risk for heart disease, preventing anemia, and helping people who are struggling with diabetes. When vanadium gets into the body, it can be converted into vanadate, which helps your body metabolize its blood sugar more efficiently. It encourages your body to burn off its free flowing glucose for energy instead of shuttling it to your fat cells for storage. Unfortunately, scientists still need to do further testing to conclusively prove that vanadium is an essential part of battling back against type 2 diabetes. But one influential study involving 16 diabetes patients did show statistically significant improvement after about 6 weeks of supplementation. Some medical experts also believe that it could have anti-cancer properties and slow down osteoporosis. Lastly, there's chromium. Chromium is another mineral that can help the human body metabolize it's blood sugar in a healthier way. Specifically, it helps your insulin work more effectively at stabilizing your energy levels. Chromium also acts as a transporter to help nutrients get where they need to go throughout the body. Whether it's carbohydrates, fats, proteins, or vitamins, chromium is basically the Uber driver of your bloodstream. An offshoot of the US Department of Agriculture ran a study on people with type 2 diabetes and gave them either a placebo or a chromium supplement for several weeks. Other than taking a supplement, the test subjects were instructed not to change their lives in any other way. After the testing period was over, there was a significant drop in cholesterol and insulin compared to placebo, meaning that patients taking the chromium supplement were developing a healthier insulin response despite their diet and exercise habits. You can expect some very positive results with Dietrine. For starters, you'll have more energy during the day because what carbohydrates your body does process will be burned immediately to fuel your body. Not only that, but you'll experience fewer mood swings which are the direct result of blood sugar spikes and crashes. Once your body realizes that it can't rely on carbohydrates for the vast majority of its energy anymore, it'll also start burning away your stored fat. Not only will you be losing weight, but you'll be losing the type of weight that is making you feel sick, tired, and unhealthy. Right now, if you need to purchase a supply of Dietrine, you have to go to the manufacturer's website and give them some payment information to start a trial order. After you make it past the 90-day trial, if you haven't canceled future orders, you will be automatically billed and automatically shipped a new supply every 30 days. It's not exactly clear how much a supply of Dietrine will cost, possibly due to bulk discounts and fluctuating market prices. The Amazon listing for Dietrine says that the product is not available at the moment but should return in the near future. In the meantime, we have a whole reviews section full of diet and weight loss supplements that you can take a look at. 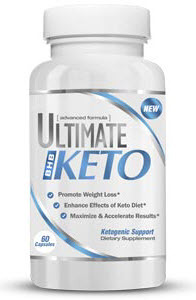 And if your diet and exercise plan is specifically targeting your carbs, then we strongly recommend Ultimate BHB Keto. It's perfect for anyone struggling with a low-carb diet. 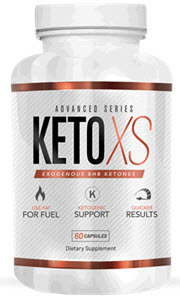 Instead of blocking carbs outright, it feeds your body the ketones it needs to get into ketosis faster and give you the energy you need to lose weight and feel great!